Android’s two leading manufacturers are at it again following the back-to-back unveilings of Samsung’s Galaxy S6 series and the HTC One (M9). Most people will end up buying one or the other smartphone. Here’s how you choose. Much of the design principles found in the M8 have been used for the M9, except for a couple of key points. The shape is no longer a savage curve. Instead the smartphone wears the shape of a prism with corners that are shaved round. This move sacrifices a great deal of charm. The M9 no longer feels milled as much as it appears assembled. The metal sheet wrapping around its back sits on-top – and does not blend in – with the visibly separate panel for the front. This overlap advertises that the smartphone is put together from a series of pieces and is not the by-product of artisan labour. Coinciding with the drop in HTC’s design pedigree is Samsung’s ascension. Ditching the waterproofing on the S6 range has allowed Samsung to create a smartphone that is sleek and slender. The S6 is a perfect 7mm thick and weighs a light 138 grams. Premium materials that include strong metal and Gorilla Glass 4 blend together for the body. Bouncing light causes the colouring to shimmer in a spectrum of shades. Going one further is the S6 Edge, which folds its screen over the sides for a look more seamless than that of Apple’s rounded iPhone 6. It is lighter at 132 grams and even more comfortable to hold. 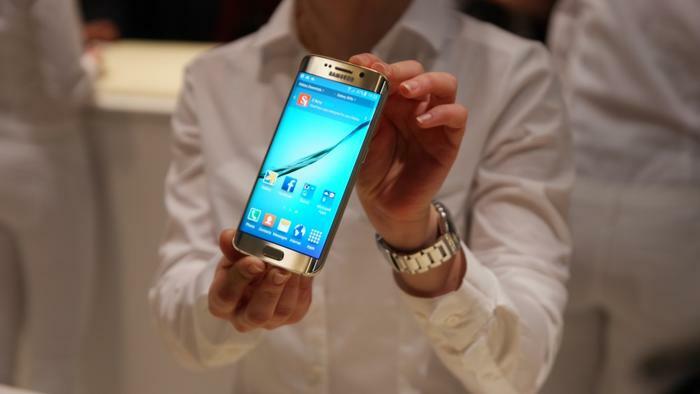 Topping it off is the fact the design of the Galaxy S6 is brand new. 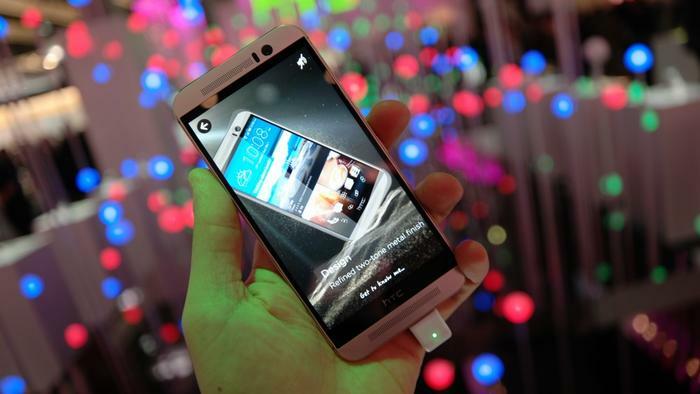 HTC’s display has stagnated at 5-inches and at Full HD resolution, giving it a 441 pixel-per-inch (ppi) density. Exercising restraint in not opting for a larger or higher resolution screen will benefit the battery life of the One (M9). Choosing not to up the resolution also means it is outclassed by the S6. The S6 wins on almost every point in this category. 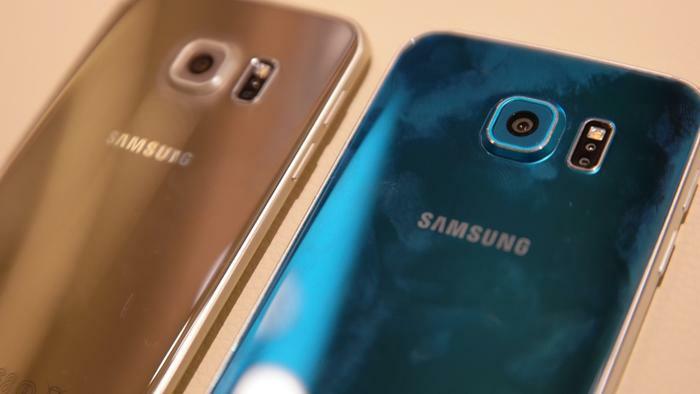 The S6 and S6 Edge have a SuperAMOLED panel that stretches a larger 5.1-inches. The resolution is higher at 2560x1440 and the pixel density is a market leading 577 pixels-per-inch. The Edge variant of the S6 boasts its own party trick in that the screen extends subtly to the sides. Samsung uses the screen’s fold to house shortcuts of favourite contacts and to work as an advanced notification light when the smartphone is face down. Both of these smartphones host powerful computing components. 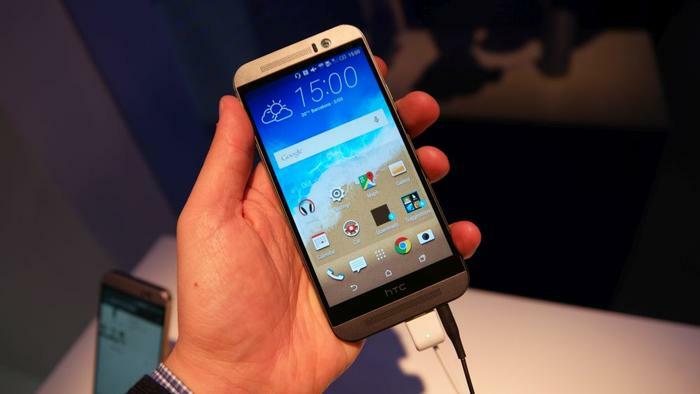 The HTC One (M9) features a Snapdragon 810 chipset based on 64-bit architecture, and its octa-core processor bundles four cores running at 2.0GHz with another four clocked at an economical 1.5GHz. Similarly, the Galaxy S6 range is powered by processors based on 64-bit architecture. The octa-core smartphones couple a faster 2.1GHz quad-core CPU with another clocked at 1.5GHz. Both smartphones come with 3GB of RAM. Storage is a little more complicated. HTC’s flagship combines 32GB of internal storage with the flexibility of microSD expandable memory — compatible with cards up to 128GB in size. Samsung’s Galaxy S6 on the other hand has eliminated expandable storage in favour of 32GB, 64GB and 128GB internal storage options. Samsung edges ahead of HTC in this category for a couple of reasons. The hardware in the Galaxy S6 is cutting edge stuff previously unseen in a smartphone. The use of a 14nm processor in a smartphone is a world’s first, while the DDR4 RAM is next-generation hardware. And ditching expandable storage in favour of internal storage means the smartphone will read and write at quicker speeds, so that photos and other media load with less lag. Samsung has controversially stepped away from removable batteries. 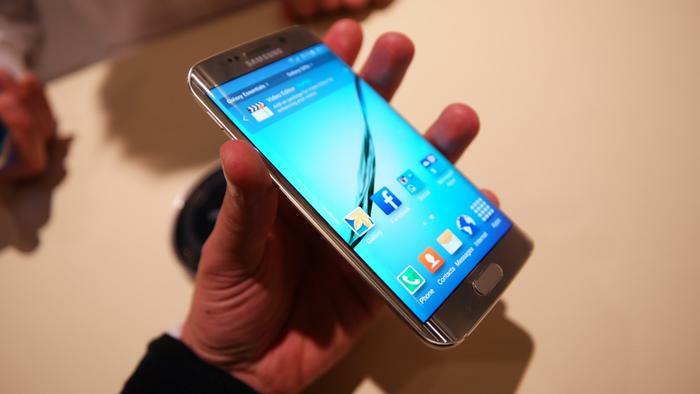 Its Galaxy S6 has a battery smaller than that featured in the Galaxy S5 at 2550 milliamps-hour. The company claims advancements in its hardware and intelligible software modes have made the smartphone run more efficiently. 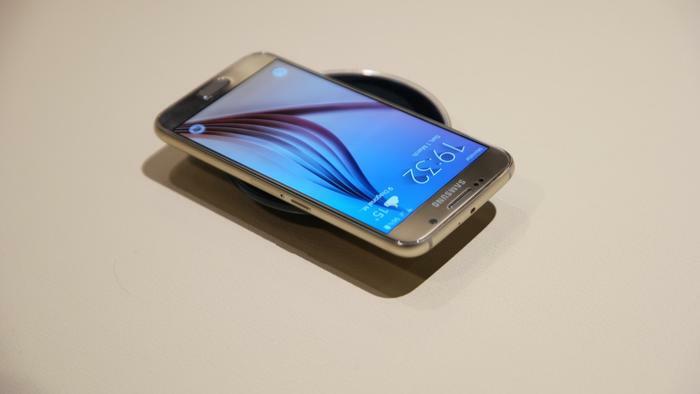 Also built into the Samsung smartphone is a wireless charging pad supportive of WPC and PMA standards. Charging the smartphone wirelessly from flat-to-full takes much longer at four hours. Resorting to a traditional microUSB connection kicks in the fast charge feature, and Samsung claims plugging the smartphone in for ten minutes will juice the S6 with four hours of charge. 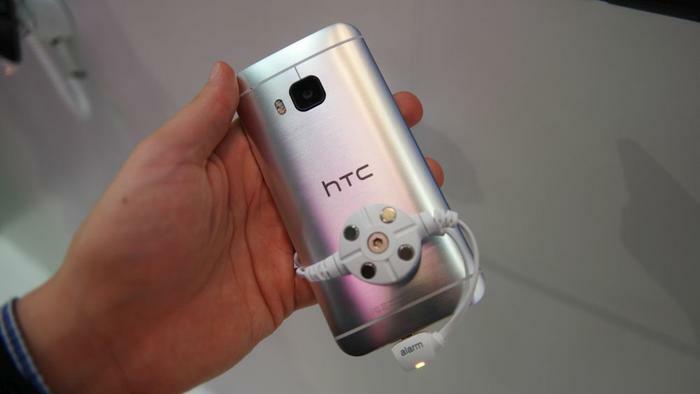 HTC has gone old school by packing the M9 with a large 2840 mAh battery. The smartphone’s use of the Snapdragon 810 CPU means it benefits from Qualcomm’s Quick Charge 2.0 technology; however, HTC has refrained from claiming how quickly charge will be replenished. Coupling a larger battery with a smaller and lower resolution display than that featured of Samsung’s Galaxy S6 indicates the HTC One (M9) should prove superior on the battery front. Samsung is adamant its flagship now runs more efficiently, and it’s going to have to if it is to compete with HTC’s One (M9).